OMEGA Hi-Lok® Tight-Squeeze One-Handed Installation Assembly are best suited for non-interference fit fasteners. OMEGA Tight-Squeeze is a full function hand tool for Hi-Lok® fastener installation and works exactly as its name implies by getting into tight places and allows one-handed Hi-Lok® installation. OMEGA Tight Squeeze can be compared to the bulky pneumatic installation tools but can go anywhere they can't. OMEGA Tight Squeeze feature interchangeable hex keys and sockets that fit a wide range of collar and pin combinations and works with aluminum, steel and titanium collars. OMEGA Tight-Squeeze One-Handed Hi-Lok Installation Assembly with 1/16'' (.062) Hex-Key and 7/32'' (.218) Hex Socket. Ideal for non-interference fit fasteners. OMEGA Tight-Squeeze One-Handed Hi-Lok Installation Assembly with 1/16'' (.062) Hex-Key and 1/4'' (.250) Hex Socket. Ideal for non-interference fit fasteners. OMEGA Tight-Squeeze One-Handed Hi-Lok Installation Assembly with 1/16'' (.062) Hex-Key and 9/32'' (.281) Hex Socket. Ideal for non-interference fit fasteners. OMEGA Tight-Squeeze One-Handed Hi-Lok Installation Assembly with 5/64'' (.078) Hex-Key and 9/32'' (.281) Hex Socket. Ideal for non-interference fit fasteners. OMEGA Tight-Squeeze One-Handed Hi-Lok Installation Assembly with 1/16'' (.062) Hex-Key and 5/16'' (.312) Hex Socket. Ideal for non-interference fit fasteners. OMEGA Tight-Squeeze One-Handed Hi-Lok Installation Assembly with 5/64'' (.078) Hex-Key and 5/16'' (.312) Hex Socket. Ideal for non-interference fit fasteners. OMEGA Tight-Squeeze One-Handed Hi-Lok Installation Assembly with 3/32'' (.094) Hex-Key and 5/16'' (.312) Hex Socket. Ideal for non-interference fit fasteners. OMEGA Tight-Squeeze One-Handed Hi-Lok Installation Assembly with 5/64'' (.078) Hex-Key and 11/32'' (.343) Hex Socket. Ideal for non-interference fit fasteners. OMEGA Tight-Squeeze One-Handed Hi-Lok Installation Assembly with 3/32'' (.094) Hex-Key and 3/8'' (.375) Hex Socket. Ideal for non-interference fit fasteners. OMEGA Tight-Squeeze One-Handed Hi-Lok Installation Assembly with 5/64'' (.078) Hex-Key and 7/16'' (.437) Hex Socket. Ideal for non-interference fit fasteners. OMEGA Tight-Squeeze One-Handed Hi-Lok Installation Assembly with 3/32'' (.094) Hex-Key and 7/16'' (.437) Hex Socket. Ideal for non-interference fit fasteners. OMEGA 1/16'' (.062) Tight Squeeze Replacement Hex Key. OMEGA 5/64'' (.078) Tight Squeeze Replacement Hex Key. OMEGA 3/32'' (.094) Tight Squeeze Replacement Hex Key. 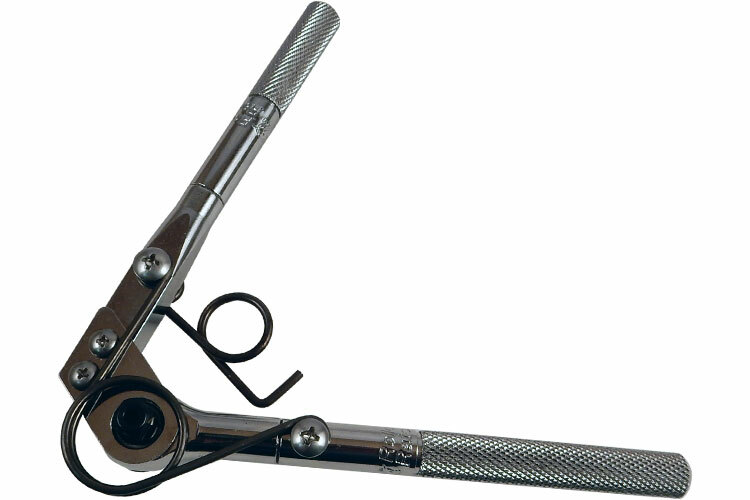 OMEGA Tight-Squeeze, basic Hi-Lok Hand Ratchet without Hex-Key or Socket. Accepts standard 1/4'' Square Drive Sockets, best suited for Interference Fit Fasteners. 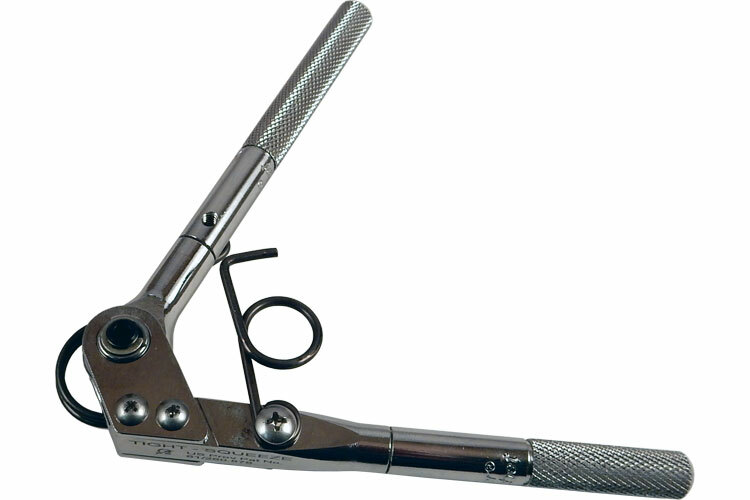 The OMEGA TSQ25-343-094 Tight Squeeze Assembly, 3/32'' Hex Key & 11/32'' Socket is one of thousands of quality tooling products available from MRO Tools. Please browse Tight-Squeeze for tools similar to the OMEGA TSQ25-343-094 Tight Squeeze Assembly, 3/32'' Hex Key & 11/32'' Socket. OMEGA TSQ25-343-094 Tight Squeeze Assembly, 3/32'' Hex Key & 11/32'' Socket description summary: OMEGA Tight-Squeeze One-Handed Hi-Lok Installation Assembly with 3/32'' (.094) Hex-Key and 11/32'' (.343) Hex Socket. Ideal for non-interference fit fasteners. Quantity discounts may be available for the OMEGA TSQ25-343-094 Tight Squeeze Assembly, 3/32'' Hex Key & 11/32'' Socket. Please contact MRO Tools for details.